Showcasing performers from Soul Drummer, live auction, lucky door prizes and more. Ticket price includes a delicious 3-course meal, some wine and plenty of entertainment. 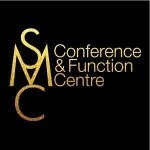 SMC Conference & Function Centre in Sydney is the ideal venue for your next event. Located in Sydney’s CBD, the purpose built centre offers a complete conference solution with modern and stylish facilities. The architecturally significant building features striking geometric angles, exposed raw concrete and warm timber textures. 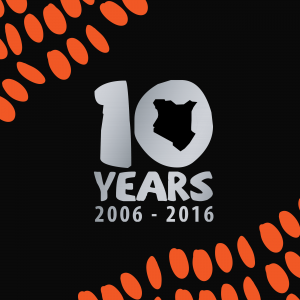 Kenya Aid would like to thank SMC for their flawless event support and generosity. The Teahouse is a wonderful secluded destination within the garden offering a distinct personality that merges the indoor pursuits with visual inspiration of the gardens. As a hidden gem we promote The Teahouse as a destination in its own right sitting in the heart of the overall Shire experience. The High Tea and Devonshire Tea services overlooking the lush garden provides our guests with a truly memorable experience not easily replicated anywhere else. Forever Floating Health Spa gives you a way to pause the hectic, saturated world and enter a state of deep mental and physical relaxation. By giving yourself a break from the endless input of sensory experiences, your mind has a chance to recharge, rest, and emerge to face the world with renewed perspective and energy. Adelaide Slater Art studied Textile Design and Printing at East Sydney/ Ultimo TAFE and graduated from the National Art School with a Bachelor of Fine Arts in 2009. Adelaide was awarded the House of Phillips Fine Art Young Emerging Artists’ Award in the 2009 Mosman Art Prize Judged by Margaret Olley, leading to a series of solo and group shows across Sydney. Her paintings are depictions of contemplative, peaceful moments exploring the rhythms, textures and patterns that describe nature. It was in the household kitchen of David Bitton and his wife Sohani that a unique range of gourmet products was lovingly created. It all started with the now famous Strawberry and Vanilla Jam, originally made to meet the demand of locals who frequented their little café down the road. Overnight success was met with demand for more products and so the range of ‘Bitton’ products was born. The SeaLink Travel Group continuously strives to be Australia’s most dynamic tourism and transport company, connecting Australian icons and landscapes to the world. With more than 900 dedicated staff across Australia serving more than six million customers annually. Tucked away in the eastern Blue Mountains, Restaurant Como is just ten minutes into the foothills at Blaxland. Como is fully licensed and offers degustation every night. Ask Rachel to help you choose a winethat matches one of Grant’s creations. 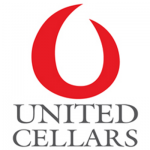 Established in 2004, United Cellars has moved beyond the traditional wine club to work directly with leading wineries across Australia and around the world. In bypassing the middlemen we can offer outstanding wine, at best market prices. Our Cellar Angels provide a bespoke ‘one on one’ service, matching wine to each customer’s needs. From $10 to $100+ a bottle, each wine has been tasted and approved as an industry benchmark, before it is offered for sale. Bahen & Co makes stone ground chocolate from bean to bar. Building long-term relationships with farmers based on solid principles of mutual benefit, transparent and fair. By paying direct and cutting out the middleman, we exceed Fair Trade and pay prices that respect the farmer’s efforts. The chocolate factory operates from the family farm in Margaret River – Western Australia. A region with a raw natural beauty and strong community that supports the efforts of its small producers. Original and beautiful, Cerrone handcrafts the most admired jewellery for life’s most precious moments. The endota spa story began on the Mornington Peninsula, where the beauty of the natural environment inspired the creation of a haven for women to replenish their souls. Now with over 90 spas across Australia and a range of certified organic products, endota spa invites you to rediscover your best me. Bon Mot is an illustration and creative studio based in Hobart Tasmania by artist Bec Adamczewki. Great design adds beauty and style but also touches you personally, it is something you can connect with. 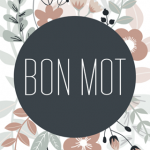 Bon Mot illustrations are designed with integrity, excitement and love. 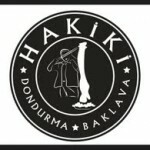 Hakiki ice cream is unlike anything you have experienced. The traditional serving is plain ice cream with a sprinkling of powdered pistachio, served with a knife and fork, for it is not easily scooped with a spoon. While it may sound unappetising to eat such a hard, frozen mass it is in fact very smooth and melts like butter as soon as it hits the warmth of the tongue. No need to greedily gulp down a cone of ice cream to prevent a sticky mess of melted syrup down your arm – Maras ice cream sits patiently in its cone, allowing you to leisurely savour each creamy bite. Based in Melbourne, Crema Joe’s mission is to bring sustainable alternatives to the home coffee brewer. We stock innovative and beautiful products from around the globe and deliver them directly to your door. We are also proud to be the exclusive agent for SealPod in Australia. We are excited to contribute to changing the capsule coffee movement, for the better! SealPod users can brew the coffee they love in their single serve capsule machine whilst contributing to the reduction of daily landfill. SealPod capsules are compatible with Nespresso®* Inissia, U, Pixie, Citiz, Maestria, Lattissima, Essenza, Le Cube and Concept. Discover Australia’s most spectacular destinations. Captain Cook Cruises is Australia’s favourite cruise line operating cruises on Sydney Harbour and small ship cruises on the Murray River, Great Barrier Reef and Fiji Islands. We are also part of the SeaLink Travel Group incorporating, ferries, accommodation and touring in South Australia (Kangaroo Island & Adelaide) and Far North Queensland (Magnetic Island & Townsville). 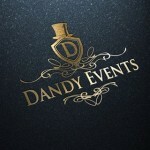 At Dandy Events we live and breath events. With over 25 years in the Events industry we are truly passionate about Event Styling & Management. Going far beyond centerpieces, we use all kinds of objects, props, lighting, furniture and flowers, to create electric and inviting events for any occasion. We create bespoke, thoughtful, cohesive and personalised events that will wow your guests. And most importantly we save you hours and hours per week (and sometimes per day) of what you would be organizing and aimlessly searching for on your own. Owned and operated by David and Elisabeth Capel, deCapel Wines is located in the Lovedale region of the Hunter Valley. Our winery is small but we produce outstanding quality Shiraz and Semillon from our property and also range Hunter Valley Sparkling Chardonnay Pinot, Chardonnay and Pinot Gris. Cow and the Moon artisan gelato bar is a little piece of deliciousness nestled in the heart of Enmore. 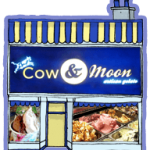 The passionate crew at Cow and the Moon are all about quality gelato and tasty treats as well as fairtrade coffee made with love. We make all of our Gelato in our “Gelato Lab” in our shop and use only the freshest of ingredients such as milk, fruit and cream as well as the best selected Italian gelato products. 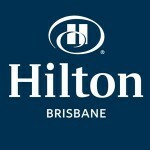 A getaway in itself, Hilton Brisbane showcases modern rooms and suites with stunning city views, award-winning Australian cuisine and fantastic amenities. Our location puts you in the heart of the city, so venture out to top attractions and explore all Brisbane has to offer. This hotel is perfect for hosting meetings and special events for up to 1,000 people. In 2014 Archery Attack was established in Adelaide, South Australia as a joint venture with Bubble Sports Australia. With a collective passion and drive for providing thrill seeking, cardio intensive recreational activities we stumbled upon a LARP (Live Action Role Playing) community in Adelaide, we witnessed some of the most exciting and intense battles between steel clad warriors and Robin Hood-esque archers hailing arrows from the sky. It was then that we knew we needed to bring the same excitement to the broader community. Multi-award winning Cronulla and National Park Ferry Cruises are located in Stunning Cronulla, 25kms south of Sydney on the Tonkin Street Public Wharf behind Cronulla Railway Station. Our award winning Cruises and Ferry services operate on Port Hacking with its pristine waterways and exceptionally clean beaches. The Hacking is surrounded by the second oldest National Park in the world which is famous for its abundant wildlife and beautiful varied bushwalking experiences. Megan is a tea-loving maker from the southern island of Australia who enjoys working with her hands. She designs and hand crafts her jewels in in a valley south of Hobart, Tasmania, nestled amongst the forest, overlooking a bending river.